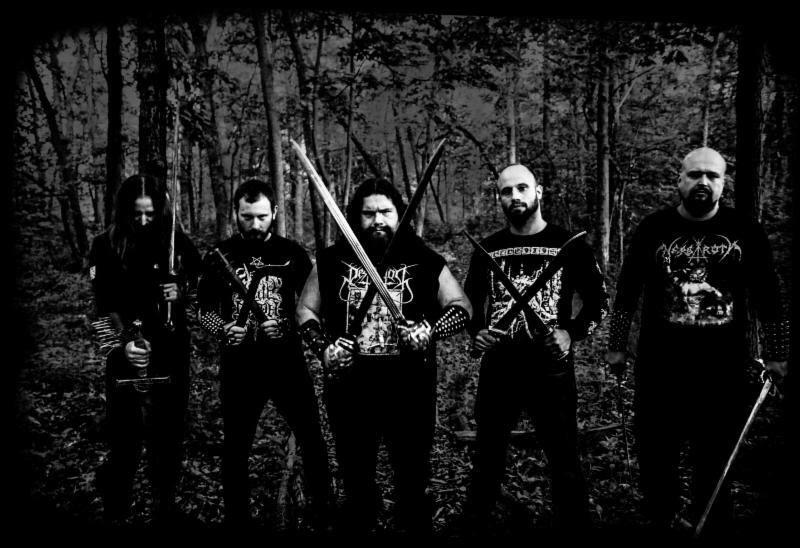 Milwaukee black metal group PREZIR have released a lyric video for the title track from forthcoming album As Rats Devour Lions. The follow up to 2017 debut EP Contempt, As Rats Devour Lions delivers a scornful blow to the wasteland of safe metal modernity. A contemptuous rebuke of all extremist ideologies, both present and historical, PREZIR epitomizes black metal ferocity (DESTROYER 666, DAWN, EMPEROR) laden with thrash (MEGADETH, SLAYER) and death metal (MORBID ANGEL, IMMOLATION, DEICIDE) influences. This record is a faster, more melodic, and heavier auditory assault than their previous effort. PREZIR will release As Rats Devour Lions on September 17 through Godz ov War Productions.